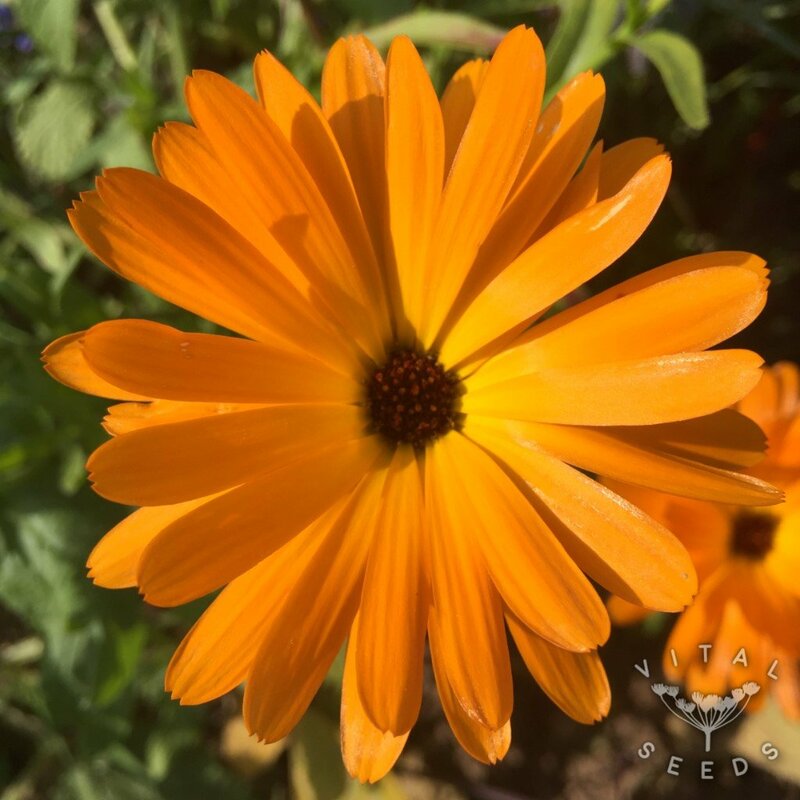 Also known as ‘Pot Marigold’ this is the classic variety of calendula, producing abundant large orange blooms over a very long season. 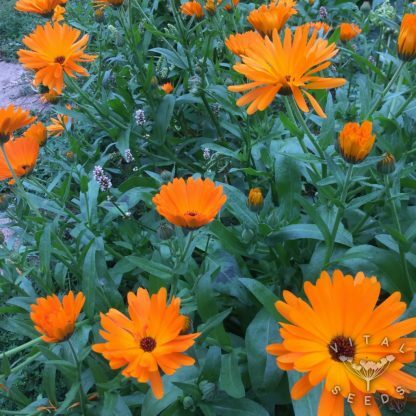 We love calendula and would never go a season without it. It is really easy to grow and loved by humans and insects alike. There is something magical about finding bumblebees sleeping in calendula flowers early in the morning. The flowers are edible (hence the name ‘Pot’ Marigold) and make a great addition to salads. 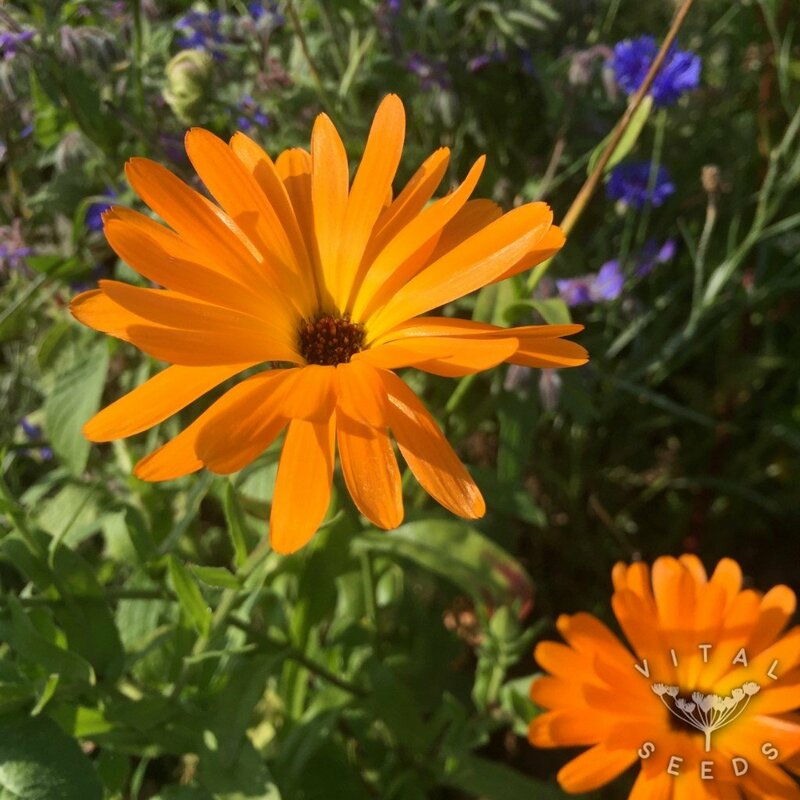 The petals have strong medicinal properties and can be taken as an infusion in hot water or turned into a powerful tincture. Calendula’s medicinal actions include but are not limited to: anti-inflamatory, astringent, vulnery, and anti-microbial.